Hello! I’m Holly. Welcome to FlipThisMiniHouse.com! Flip This (Mini) House began when I received a mid-century dollhouse from a friend and documented its transformation from gross to gorgeous, showing all the steps along the way on my blog. The house that started it all. Photo by Holly Tierney-Bedord. 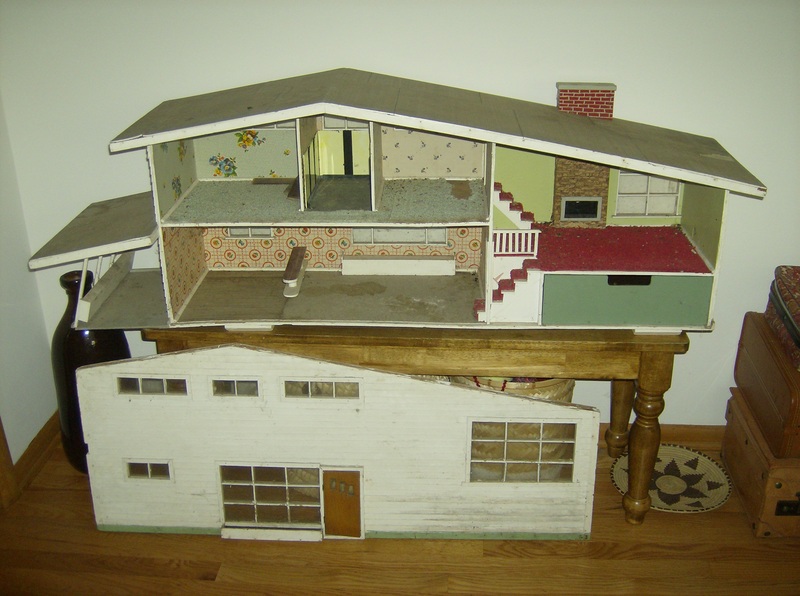 I made much of the furniture and accessories for this dollhouse from found objects, created small-scale rugs, blankets, wall-hangings, and paintings, and altered store-bought dollhouse furniture, resulting in an artistic completely one-of-a-kind finished product. Now that my original Flip This (Mini) House project is completed, I’ve begun creating room boxes, flipping a farmhouse style dollhouse, and writing books that document these projects and inspire others to get involved in the wonderful world of miniatures. All these projects are regularly documented here on this blog and on my other social media sites. Find Flip This (Mini) House on Facebook, Twitter, Pinterest, Amazon, and Instagram, too! Show me how my books and blog have inspired you, your kids, and your students by using #thisminichallenge on your posts!